1. 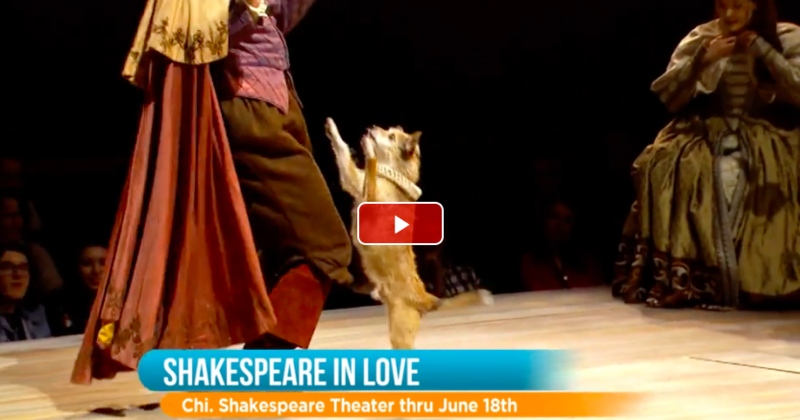 Meet Dash, the fluffy mutt who plays Spot in Shakespeare in Love. Seasoned actor Luigi Sottile adopted the little rascal last year. 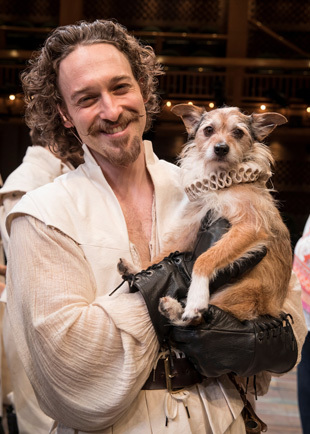 After Sottile was cast in the Chicago Shakespeare Theatre’s production of Shakespeare in Love, the producers began looking for a pup to play Spot, the mascot to Lord Chamberlain’s men. The handsome actor recommended his terrier Dash to the adaptation of the Oscar-nominated film. In spite of being a novice, Dash turned out to be born to grace the stage. 2. Dash is clearly the star of the show. If you have any doubts of the rescue dog’s stage presence, check out his charming interview on You&Me. You’ll get to see a few clips of him in action as well. 3. In fact, Dash has received excellent reviews. 4. Dash gets to wear a handsome costume. 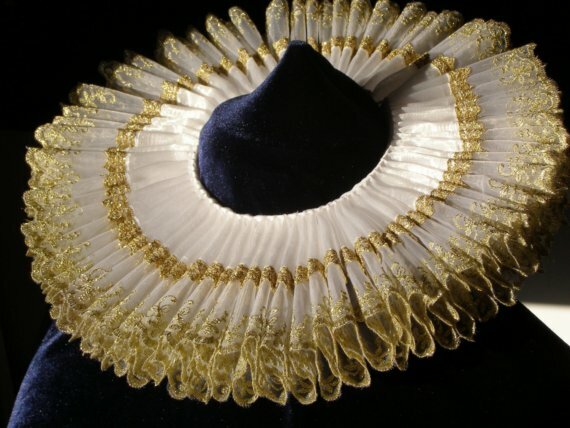 You won’t be able to help being positively tickled by Dash’s fetching Elizabethan collar… or should we say, dash-ing collar? 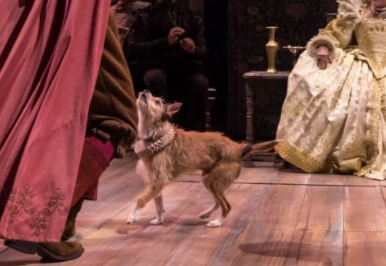 His costume helps him fit right into the world around him and seal the illusion of him being a rascally pup from the 16th century. 5. And Dash is a fast learner! You won’t want to miss Dash (and Luigi!) 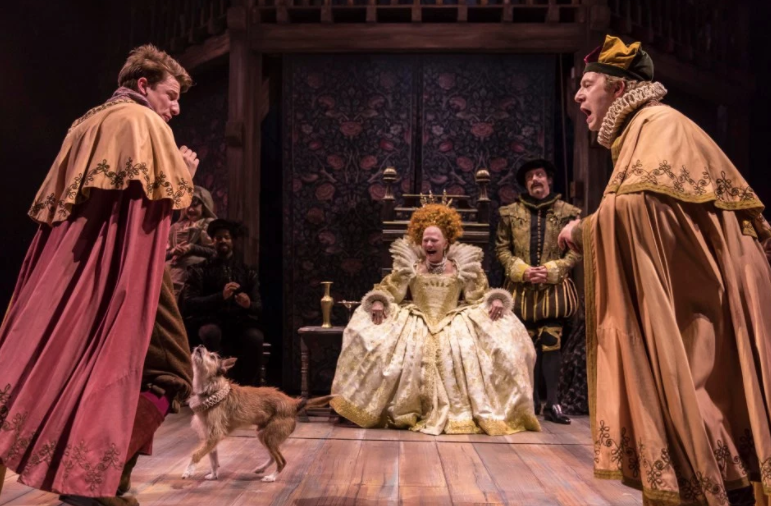 in the hilarious and heartwarming play Shakespeare in Love, which is playing at the Chicago Shakespeare Theatre until June 18th. Be sure to check out TodayTix to save over 30% on seats. You can also enter the daily mobile lottery for your chance to win $30 tickets!